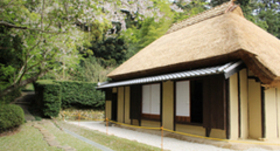 The Soichiro Honda Craftsmanship Center is a place meant to honor the achievements of Soichiro Honda, who was born and raised in Komyo Village in the district of Iwata, Shizuoka Prefecture (now Tenryu Ward in Hamamatsu City), and communicate them widely to the public while informing people of the personality and craftsman's spirit of the man Soichiro Honda. 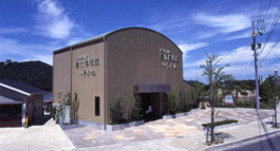 Specifically, the Center holds a variety of exhibitions and workshops to enable the new generation, who will take on the world of the future, to experience the way of life and spirit of craftsmanship of Soichiro Honda. Left: Honda Super Cub C105 (1961) The basic design and concept of the Super Cub have remained unchanged since sales began. Right: Various design drawings of the Monkey. Soichiro valued design and held on to his exacting approach. Soichiro Honda is the founder of the global corporation Honda Motor Co., Ltd. Soichiro was a freewheeling, cheerful, and technically-minded company manager with an intense personality that was full of vitality. Even after his passing in 1991, Soichiro is still idolized by a great many people. Born 1906 in Komyo Village in the district of Iwata, Shizuoka Prefecture (now Tenryu Ward in Hamamatsu City), Soichiro was deeply impressed the first time he saw an automobile at the age of eight, and he set his sights on becoming an engineer. Upon graduation from a higher elementary school, he found work as an apprentice at an auto repair shop in Tokyo, and after he finished six years of training, he established his own auto repair shop in his hometown of Hamamatsu. Soichiro gained a reputation for his great skill, repairing cars that no other shop could repair and working on all kinds of different cars, his business started to steadily expand. In 1937 he left the repair business and decided to make the switch to manufacturing, established Tokai Seiki Heavy Industry Company, and got to work developing and manufacturing piston rings. He faced serious difficulties developing manufacturing capabilities for the high-tech piston rings. 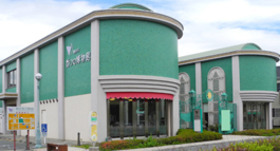 To compensate for a lack of knowledge, he even spent time auditing classes at the Hamamatsu College of Technology (now the Shizuoka University Engineering Department). 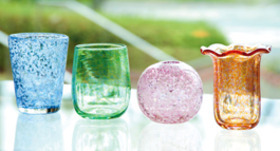 Right after the end of World War II in 1945, Soichiro sold off all his stock in Tokai Seiki and left the company, because it had been heavily damaged in the war and by a large earthquake, he also wanted to try manufacturing new things. He lived a reclusive lifestyle, claiming he was "on leave to be a person," but it seems that he was getting his ideas together for setting up a new business during this period. A year later in 1946 he set up the Honda Technical Research Institute (former) in Hamamatsu, and in 1948 he established the Honda Motor Company in Hamamatsu. The company started out as a small factory with 20 employees manufacturing and selling bicycles equipped with auxiliary engines, but it grew to become a large global enterprise under the passionate leadership of Soichiro, who proclaimed, "We will never imitate anyone. No matter how hard it gets, with our own hands we will make it to number one in Japan, no, number one in the world." In the second floor exhibit room there is a corner for watching videos along with related books, pictures painted as a hobby by Soichiro, belongings of Soichiro, etc. on display. Next to the reception desk there is a merchandise sales corner. 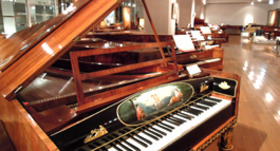 A special exhibition is held once every year. 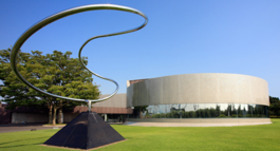 ※Permanent exhibition periods are free, but there is a fee during special exhibitions. Please check out the Museum calendar below when you visit us.